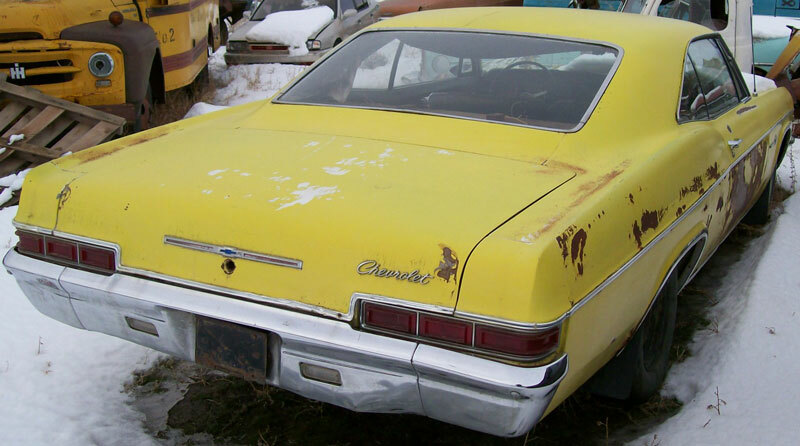 This Lemonwood yellow 1966 Chevrolet Impala 2 door hardtop is a solid, straight project car ready for restoration or customization. This car runs and drives well. It has power steering and manual brakes. The body is straight. The grill and bumpers are good. The right door and quarter panel have some surface rust where the paint is peeling. There is some rust in the tails and rockers of the quarter panels. The left door has some rust in the tail behind the wheel well. The windshield is cracked. The rest of the glass is good. The rear bumper has some dents and the right bottom of the front bumper is bent out. The bumpers need to be re-chromed. The black interior is all there. The door panels are good. It needs a headliner, dash pad, carpet and package tray. The seats are useable. 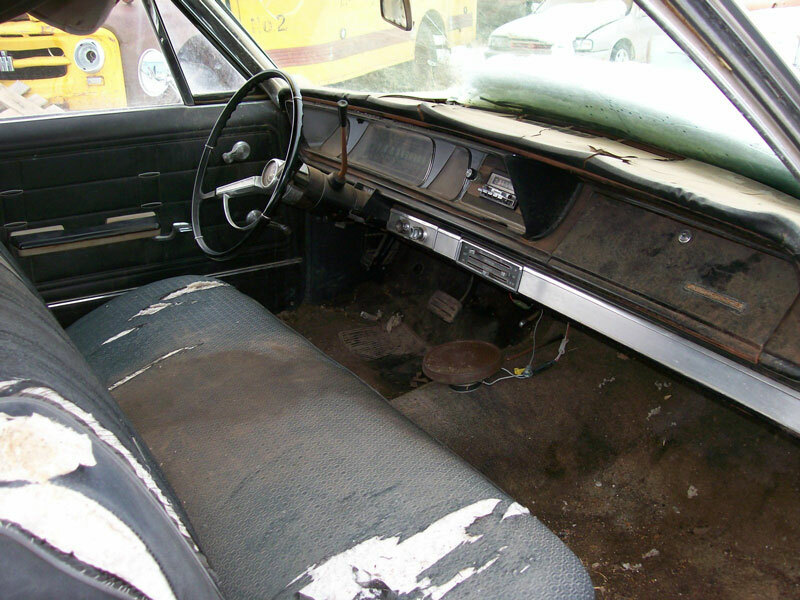 The floors and trunk bottom are solid except there are a couple some repairable rusted area in the trunk floor. 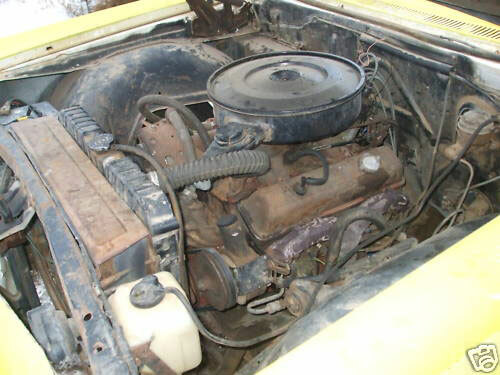 The car has a low miles 1973 350 CID OHV V-8 motor and 350 Turbo automatic transmission. This was originally a white 283 V-8 automatic car. 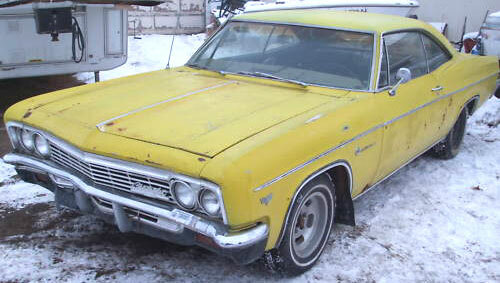 Please call (406) 318-0270 for details about this 66 Impala.